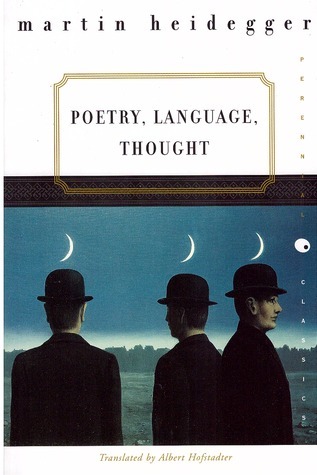 Poetry, Language, Thought collects Martin Heidegger's pivotal writings on art, its role in human life and culture, and its relationship to thinking and truth. Essential reading for students and anyone interested in the great philosophers, this book opens up appreciation of Heidegger beyond the study of philosophy to the reaches of poetry and our fundamental relationship to Poetry, Language, Thought collects Martin Heidegger's pivotal writings on art, its role in human life and culture, and its relationship to thinking and truth. Essential reading for students and anyone interested in the great philosophers, this book opens up appreciation of Heidegger beyond the study of philosophy to the reaches of poetry and our fundamental relationship to the world. Featuring "The Origin of the Work of Art," a milestone in Heidegger's canon, this enduring volume provides potent, accessible entry to one of the most brilliant thinkers of modern times.